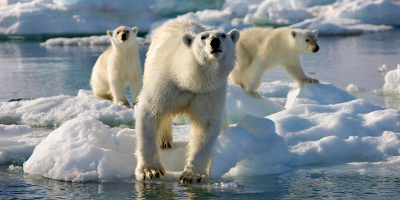 Narrated by Sir David Attenborough and from the award-winning team behind Planet Earth and Blue Planet comes the ultimate portrait of the earth's Polar regions. 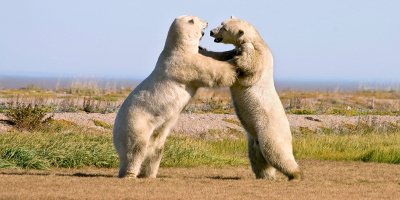 The Arctic and Antarctic remain the greatest wildernesses on Earth. The scale and beauty of the scenery and the sheer power of the elements – the weather, the ocean and the ice – is unmatched anywhere else on our planet. 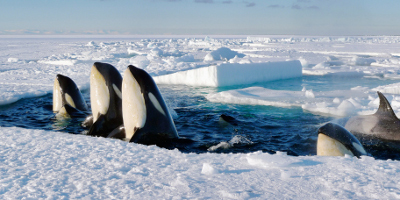 Yet these harsh environments are teeming with life: home to iconic animals from polar bears to emperor penguins and from killer whales to wandering albatrosses. Using the latest camera technology to film on land, from the air, underwater and below the ice caps, Frozen Planet follows their fascinating lives throughout the seasons as they struggle to survive. With spectacular polar landscapes and amazing animal behaviour, often filmed for the first time, it captures the drama of an extreme natural world. With both Poles under grave threat from climate change, this extraordinary series may be the last chance to witness these great wildernesses before they change forever. Frozen Planet is a wonderful DVD. I'd recommend this to anyone who enjoys wildlife documentaries. Zavvi was by far the cheapest site selling this DVD and what a DVD it is! For all of you documentary lovers, you won't get a more in depth look at the magical world of the polar regions that Frozen Planet. My mate Dave Attenborough is typically top drawer. Buy this and discover a whole new world. I was mesmerized by the photography - and having the voice of David Attenborough explaining things in his inimitable way, made me feel that I was there also. Near the whales, the bears, the birds, the volcanoes, in this extraordinary frozen world. I am looking forward to watching the whole thing again!